Gallup 360 weed killer is a foliar applied translocated herbicide for the control of emerged weeds in industrial situations, forestry and aquatic areas. It is particularly important that the weeds have sufficient leaf growth and are actively growing when treated. Perennial grass weeds must have produced fresh weeds, which are green and vigorous. Common couch or scutch is most susceptible to Barclay Gallup 360 when it is tillering and when new rhizomes have begun to grow. This is usually when the plants have about 5-6 leaves, each with approximately 12-15cm of new growth. The majority of perennial broad leaved weeds are most susceptible if treated with Gallup 360 when they are actively growing and are at or near flowering stage. Annual weeds should be actively growing with grasses having at least 5cm of leaf and broad leaved weeds at least two expanded true leaves when sprayed. Couch or scutch grasses and other grass and broad leaved weeds are less susceptible to Barclay Gallup 360 when growth is restricted by drought, waterlogging, frost, very high temperatures or natural dieback. Efficacy will be reduced if such conditions occur at or immediately after spraying Barclay Gallup 360. By law, everyone who uses Gallup 360 and other pesticides / weed killer professionally must have received adequate training in using pesticides / weed killer safely and be skilled in the job they are carrying out. Please ring 01328 700600 to speak to a Basis qualified member of our team for safe advice on training and qualifications for the safe use of Gallup 360 and other pesticides. The purchaser and/or end users are responsible for ensuring that this Gallup 360 product is used in line with industry Approved Codes of Practice. All operators must be trained and certificated in using and applying any Ministry Approved professional weed killer. Once you have placed an order on our web-site for a Gallup 360 or other professional pesticide we will contact you by return (usually via e-mail) for confirmation that you comply with the safe use of pesticide legislation. 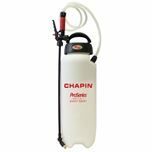 The Magnum 1000 knapsack sprayer is ideal for use all year round. Its convenient, balanced unit is easy to work with a high efficiency pump & lightweight feel.